Review by AllTheBestFights.com: 2016-08-20, pretty good finish between Cody Garbrandt and Takeya Mizugaki but it is not enough to get three stars: it gets two. The undefeated Cody Garbrandt entered this fight with a perfect record of 9-0-0 (89% ko/tko victory rate – he has never won via submission) and he is ranked as the No.12 bantamweight in the world. He has already fought twice in 2016 beating Augusto Mendes (=Garbrandt vs Mendes) and Thomas Almeida (=Almeida vs Garbrandt). His opponent, Takeya Mizugaki, has a mma record of 21-9-2 (29% finishing rate) and he entered as the No.23 in the same weight class. He lost two consecutive bouts between 2014 and 2015, against #1 Dominick Cruz and Aljamain Sterling but he came back to win in his last bout against George Roop (=Mizugaki vs Roop ). 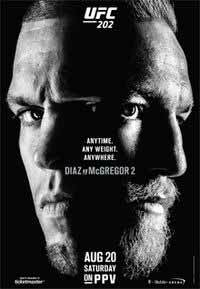 Garbrandt vs Mizugaki is on the undercard of Nate Diaz vs Conor McGregor 2 – UFC 202. Watch the video and rate this fight!